Our next Top 10 is about the Saturday Night Special. 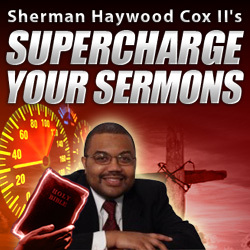 You know where you up all night Saturday night to preach that Sermon on Sunday Morning. Well without further ado, here are the top 10 reasons why you don’t know what you will preach tomorrow. Drum roll please. 10) It was a very difficult week. You had 3 funerals and 10 major illnesses in your church. In addition, it was time for the trustee meeting. No excuses, but time just flew by. 9) Your Momma or very close relative died this week. 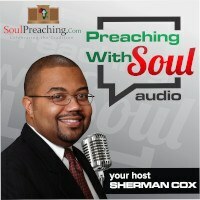 You are struggling with the realities of living at the same time recognizing the need to preach. 8 ) You got sick. You didn’t recognize that you needed an antibiotic until half way through the week. It is hard to prepare a sermon with a fever of 102.5. 7) No Sermon Planning. Some preachers preach in series, some preachers plan the year in advance. And some preachers go by the seat of the pants. My guess is that you go by the seat of the pants. 6) Not Enough Bible Study (reading). Some preachers only read the Bible when they are trying to come up with a sermon. Those who regularly read the Bible usually have tons of things to preach about. 5) Not Enough Interaction With The People. Interacting with people in and outside the congregation will give you a ton of perspectives to bring with you to the scripture. At the very least it gives you a lot of real questions that real people ask. 4) Not Enough Prayer. OK, forgive me for the cliche’, but some prayer, some power, little prayer, little power, no prayer, no power at all. 3) Television is more compelling than preparation – The Real Housewives of Atlanta, The National Championship Game, The NBA Title, or some other television viewing has used up all of the time for preparation. Lord Help Us! 2) Your Favorite Television preacher went off the air – He didn’t pay his television bill so he wasn’t on TBN for you to copy his sermon. 1) Late Assignment – The Senior Pastor didn’t tell you you needed to preach until last night. Should You Go To Seminary? Are We Building the Kingdom? How Do You Use Greek And Hebrew? What Is The Laity Going To Do?